1. 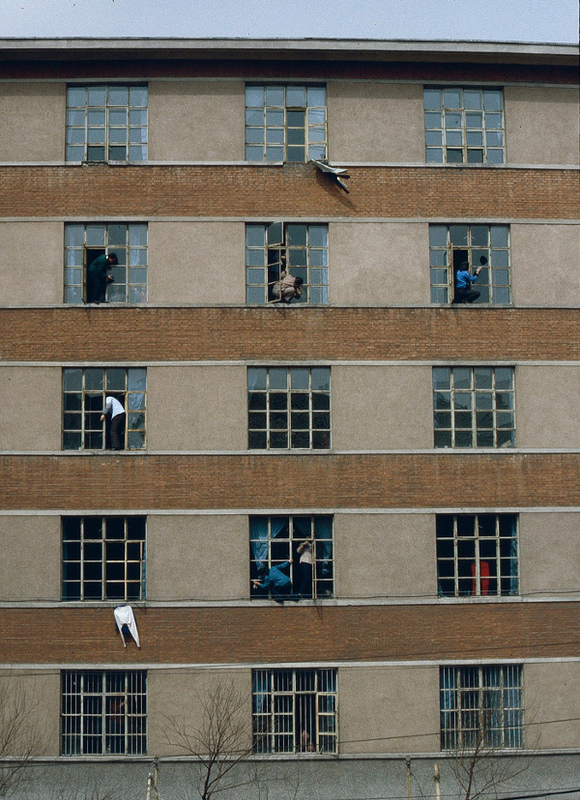 They all feature human beings cleaning windows; human beings born, presumably, with brains. 2. They all illustrate a total lack of common sense on behalf of the cleaners in question, more often than not because they’re unable/unwilling to muster the time/money/brainpower necessary to do the cleaning safely. 3. They all make me depressed and strangely exhilarated. I’m sure you’ll experience a similarly thrilling level of discomfort. 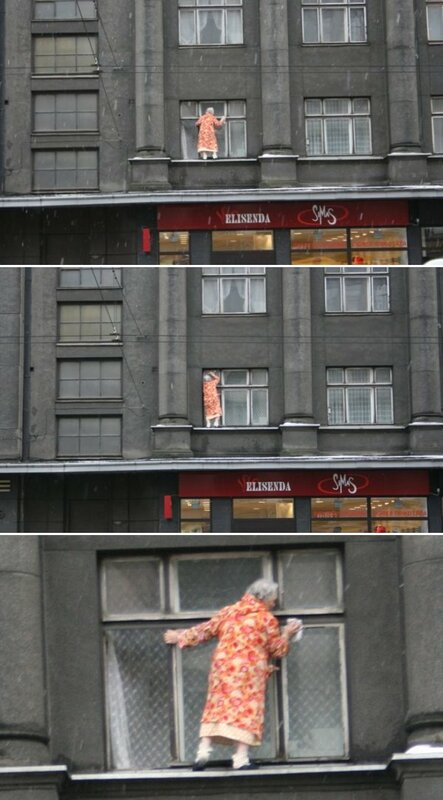 Above: An old lady does the unthinkable and cleans her window from the comfort of the sill, in what looks like snowy weather. 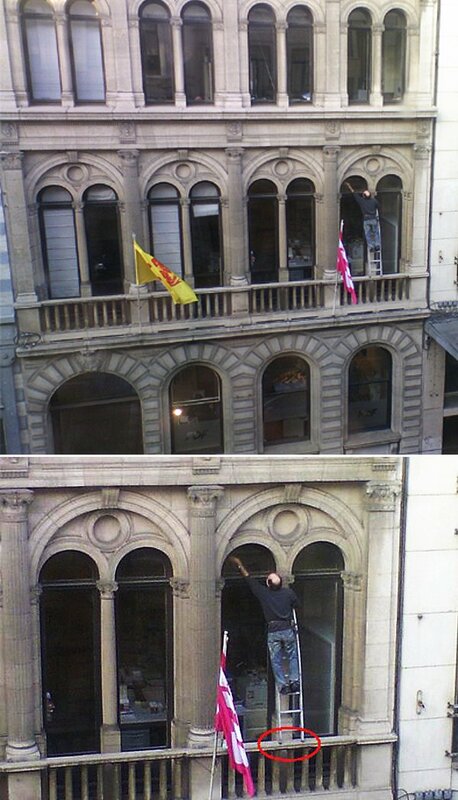 Above: An intelligent chap, determined not to be beaten by the unreachable, rests his ladder on a ledge barely deep enough to hold it. Above: 400ft up, on the 34th floor of a hotel in Dubai, a bright young man cleans a window and proceeds to make all onlookers instantly queasy. 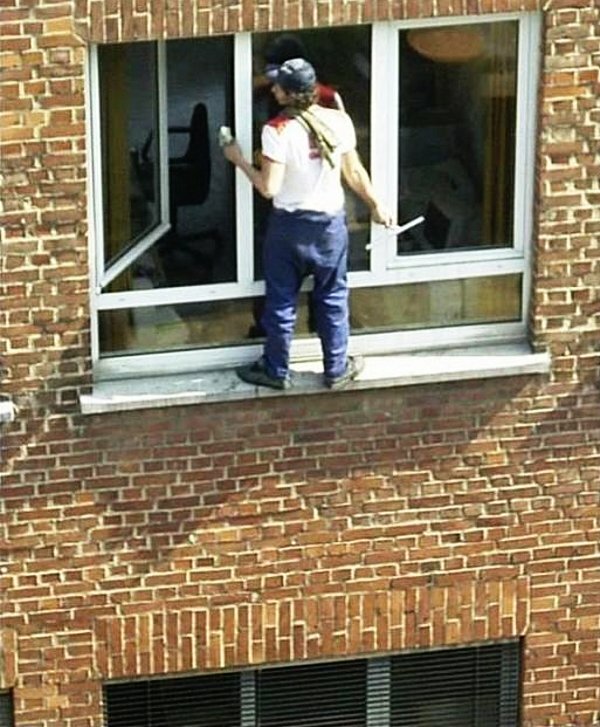 Above: This guy’s barely even gripping the building as he unprofessionally attempts to cut corners. Above: Words can’t describe just how insane this is. 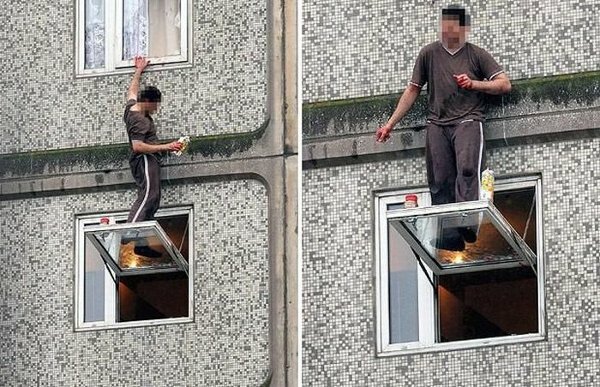 Above: Numerous students at Liaoning University in China decide to dice with death simultaneously and clean their windows with reckless abandon. 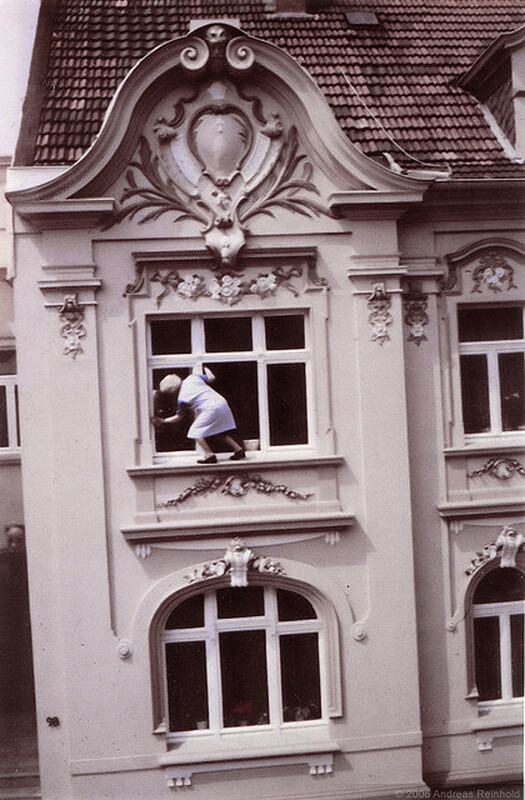 Above: Vintage window cleaning insanity from 1985.